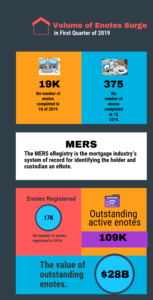 The number of enotes that have been added to the MERS eRegistry during the first quarter of 2019 exceeded the number of enotes registered for all of 2018, according to Merscorp Holdings Inc.
MERS member institutions, including lenders and originators, registered around 19,000 enotes in the first quarter of 2019, compared to the 17,000 enotes registered in all of 2018. 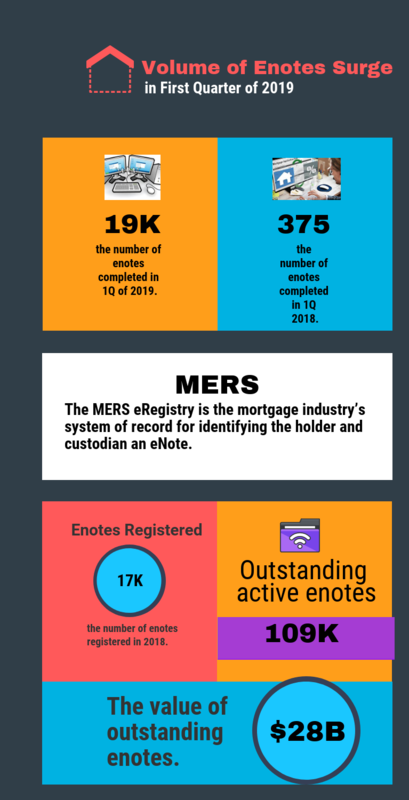 In comparison, the number of enotes registered in the first quarter of 2018 was 375. This also increases the number of outstanding active enotes to 109,000, or $28 billion of residential mortgages. The rapid growth of eNotes is a key indicator that the residential lending industry continues to drive toward digitization of the production process. Enotes are an essential component of a digital mortgage strategy, as they do not require notarization, are enforceable in all 50 states, and easily integrate into an electronic closing process that improves the consumer experience and lowers lenders’ costs. Merscorp Holdings Inc. is a subsidiary of the Intercontinental Exchange. 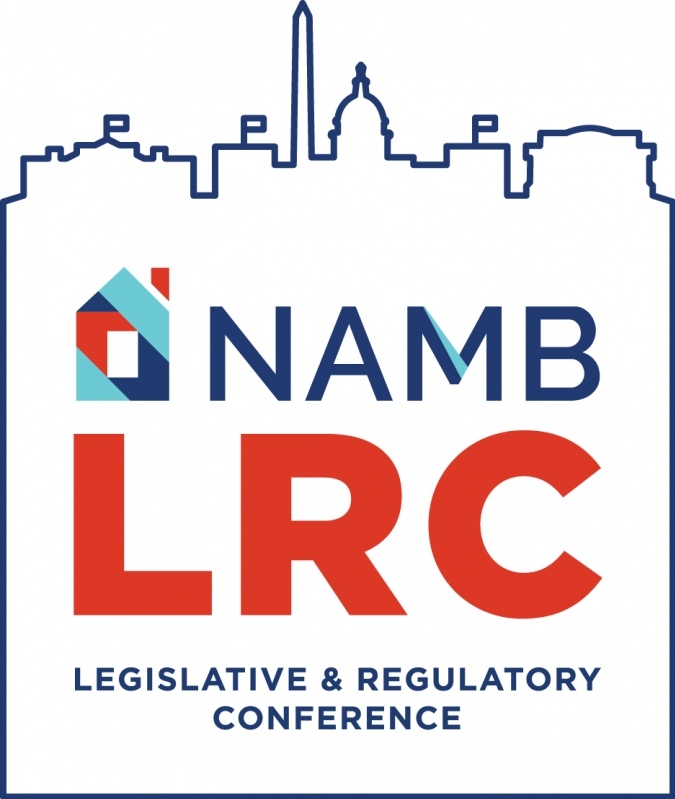 The MERS eRegistry is the mortgage industry’s system of record for identifying the controller and location of the authoritative copy of an eNote, or who in the traditional paper world of mortgages, is the legal holder of the original note. This gives consumers, lenders, and investors the confidence to move toward a digital process because authenticity of electronic copies can be verified by an independent third-party.